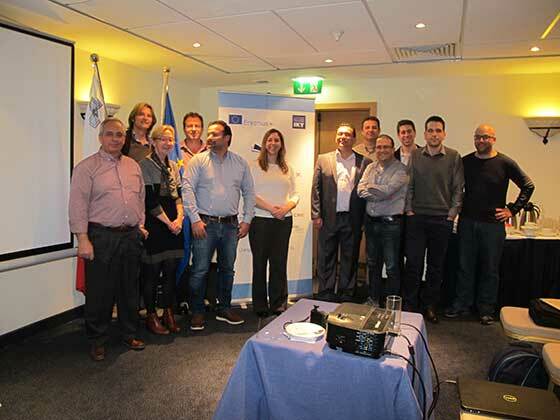 The mid-term project meeting for SeaofSkills, funded within the ambit of the Erasmus+ Programme, was recently organised in Malta. The over-arching aims of the project include a contribution to the improvement of the quality and attractiveness of the CVET (Continuing Vocational Educational Training) for fishers and the development of means through which to address existing needs of the fisheries and the CVET sectors. Parliamentary Secretariat Roderick Galdes, whose portfolio includes Fisheries, opened the meeting. Nine partners from five countries (Greece, Turkey, Malta, Spain and Ireland) make up the partner consortium of the project, which is set to run till the end of August 2017, with the University of Malta representing Malta as a partner in the project. The University of Malta is represented within the project by Prof. Alan Deidun, from the Department of Geosciences, and by Prof. Mark-Anthony Falzon, Head of the Sociology Department. 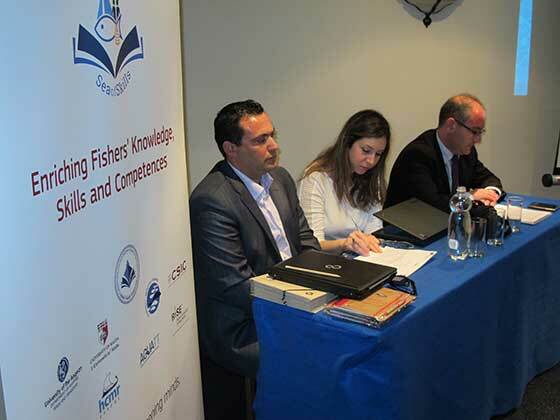 Although the Directorates of Fisheries and of Aquaculture are not project partners, they are actively collaborating with the University of Malta, through Dr. Andreina Fenech-Farrugia, on the implementation of the project, by making available statistics on the national fisheries sector and local facilities to the project consortium. The second day featured, in fact, a visit by the project partners to the Aquaculture Directorate facilities at San Lucjan Tower in Marsaxlokk. The project is exclusively focusing on small-scale/artisanal fishers in Malta, Greece and Turkey and hence it’s very relevant in a country where well over 90% of local fishers fall within this category. The fisheries sector is recognized as one of the pillars of development at national, European and international level. The extent of its contribution to sustainable development, economic growth and food security highly depends on the knowledge, skills and competences of fishers. Continuing Vocational Education and Training (CVET) has a central role in responding to the changing training needs and new challenges this target group faces. Through CVET, knowledge, skills and competences are improved and updated, new ones are acquired allowing adaptation to the changing requirements and new developments. In the E.U. agenda and strategy, investment in human capital through training and improvement and adaptation of CVET systems to the ongoing developments is a priority. The next steps within the project entail the finalisation of training material on 4 major thematics (safety at sea, the ecosystem-based approach to fisheries, fish handling and preservation and emerging technologies on board fishing boats), including a manual and handbook, and the delivery of such training material to fishers in Malta, Greece and Turkey during ad hoc training sessions as well as to the wider stakeholder community through multiplier events in each of these countries.